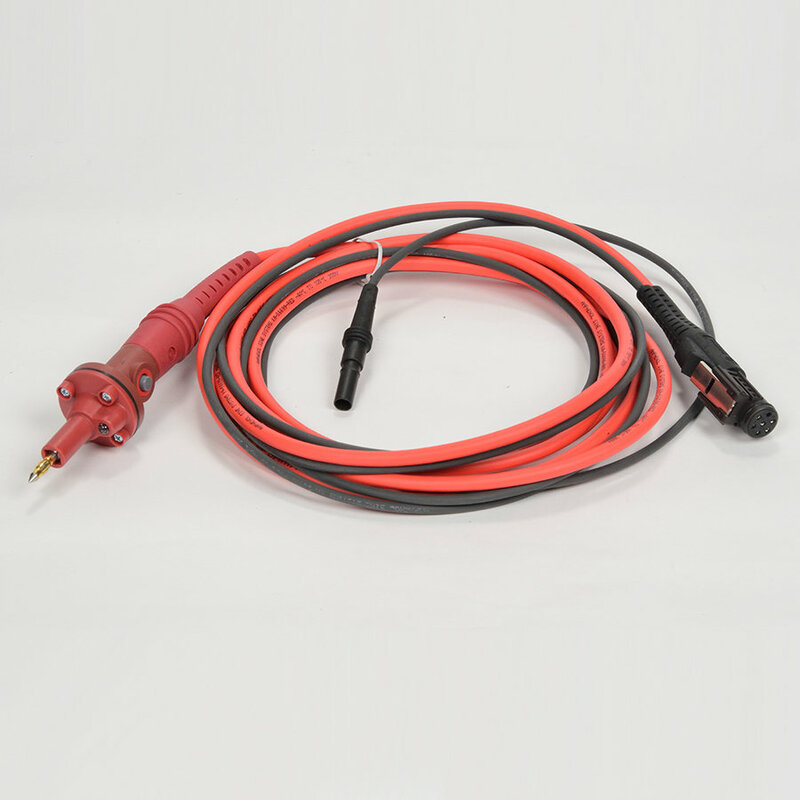 The Red Probe with Tick Button connects the VCMM to automotive circuits for measuring voltage and resistance and for using the Signal Generator function. The Red Probe with Tick has an acknowledgement button, which can be pressed to confirm a measurement without releasing the probe. This functionality is identical to pressing the tick/confirm button in the IDS application. Also includes black probe and 2 alligator clips: small black and large black.